Even if you’re opting for a traditional home with a big back yard for romping with Rover, you’ll still want to get out of the house sometimes…so will your dog. During your home search, look for properties that allow easy access to local dog parks, restaurants, and stores that welcome well-behaved barkers. Dogs are curious creatures and like to sniff, snort, and sample new tastes and smells. While this is normal and to be expected, it can also cause some unexpected side effects. Certain plants, many of which are commonly used in landscape designs, are dangerous for your dog. 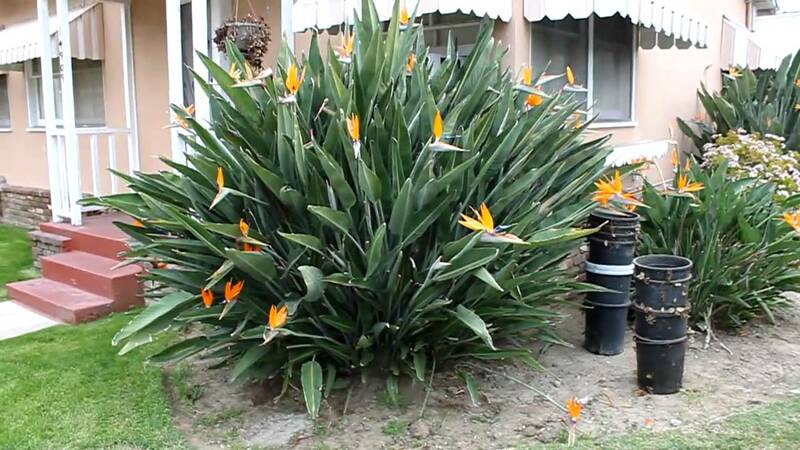 Eating the blooms of a Bird of Paradise, for example, may trigger vomiting and nausea. Check out this list compiled by the ASPCA for a more throughout rundown of plants perilous to pets. As a responsible pet parent, you want to make sure you have a trustworthy and well-reviewed veterinarian picked out prior to your move. But before you commit to your canine’s caretaker, check to see if they have hours that are convenient for you and your family. Ask about after-hours and emergency weekend care and keep looking if your chosen pet healthcare provider doesn’t offer options for after-hours issues. Yelp’s list of local vets can help you choose. Your dream home may become a living nightmare if you fail to fully read and understand rules and regulations associated with the city or neighborhood HOA. For instance, many local governments ban certain breeds considered a threat to the safety of the community. Michigan has recently taken steps to lift dog bans, but it’s always best to check before you fall in love with a certain home or ‘hood. Do you give your dog outdoor baths in the summer? Look for a house with an accessible water spout where you plan to wash and dry your furry guy. Does your dog like to chew carpet? Narrow your list of homes down to those with scratch resistant flooring. If your dog likes his alone time, make sure the house has space to allow for this. Look for a mudroom or heated garage with interior access. When viewing new homes, go in the afternoon when traffic is likely at its worst. Your dog may be well-behaved, but it’s hard to resist an endless stream of things to chase, especially at a new home with exciting sights and sounds to explore. Once you’ve found your fur-ever home, you’ll have to convince your dog it’s a safe new space. Do this by introducing him carefully, and only after you’ve eliminated potential hazards, such as holes in the fence and the aforementioned poisonous plants. Walk your dog around the exterior of the home, allowing plenty of time for him to “read” the neighborhood chatter. Dogs communicate through smell, which can tell them everything from when the mailman was last on the porch to the health of neighboring pets. Last but not least, once you’re settled, introduce yourself and your pet to the neighbors. This is a small gesture that will set the stage for a successful integration with your new surroundings.